Yum Brands missed Wall Street's profit and revenue forecasts in the fourth quarter, overshadowing other, more upbeat, news from the parent of Taco Bell, KFC and Pizza Hut. Yum said same-store sales — a key metric for the industry — grew 2 percent in 2018, its fifth consecutive year of same-store sales growth. In the fourth quarter, same-store sales were up 3 percent. But net earnings fell 17 percent to $1.04 per share in the October-December period. Without one-time items, including a $255 million gain from refranchising 331 company-owned restaurants, Yum earned 40 cents per share in the October-December period, down 58 percent from a year ago. That was well short of the 95 cents analysts had forecast, according to FactSet. Yum says its earnings took a 41-cent hit because of a change in the market value of the $200 million investment it made in food delivery service Grubhub last February. Grubhub's shares fell 44 percent during the fourth quarter as it faced growing competition from apps like DoorDash and Uber Eats. But Yum struck a positive tone about its tie-up with Grubhub. On Thursday, the company announced that it is rolling out delivery to all U.S. Taco Bell stores through Grubhub. CEO Greg Creed said Taco Bell locations that already offer delivery have seen new customers and higher spending on delivery orders. 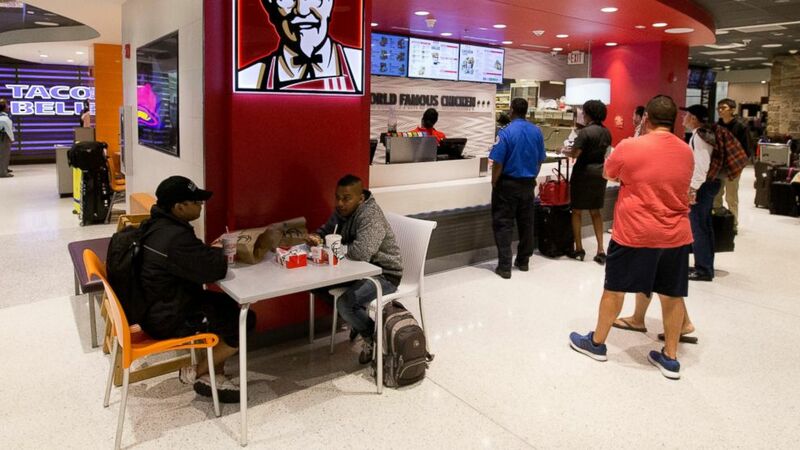 Creed said U.S. KFC locations will offer delivery by the end of 2019. He said the company has rolled delivery out slowly in order to make sure its system is aligned with Grubhub's. "Great integration improves speed and service, it improves order accuracy, it does everything the customer wants," Creed said Thursday on a conference call with analysts. "We've gone a little slow early in order to accelerate going forward. Yum's fourth-quarter revenue fell 1 percent to $1.56 billion, short of analysts' forecast of $1.59 billion. Much of that drop was due to the refranchising of company-owned stores. The company said it has met its goal of being 98-percent franchised, up from 93 percent in 2016. David Gibbs, Yum's longtime chief financial officer who was promoted to president and chief operations officer last month, said the company anticipates net new unit growth of 4 percent and same-store sales growth of 2 to 3 percent this year. Yum said it expects full-year adjusted earnings of at least $3.75 per share this year. That's up from $3.17 for the full year in 2018. Shares of Yum Brands Inc., which is based in Louisville, Kentucky, were down 15 cents at $94.44 in afternoon trading Thursday.